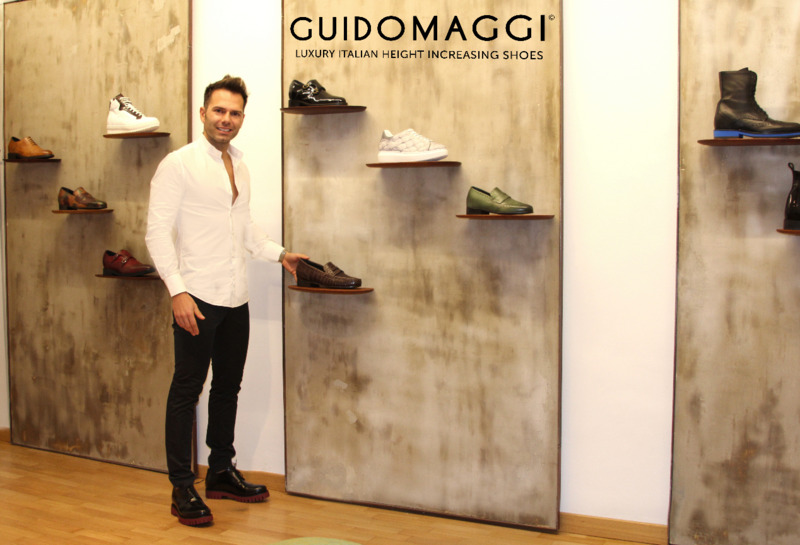 GuidoMaggi has opened the world’s first elevator shoe showroom in Milan-Brera, at an historic eighteenth-century palace. At the evocative exhibition location, found on the first floor of Via Fiori Chiari 18, you can immerse yourself in the world of luxury footwear, admiring GuidoMaggi’s luxurious collection of unique styles, from colorful models to hand-painted styles made from the finest leathers. GuidoMaggi’s shoes also utilize Goodyear stitching, a refined technique of craftsmanship. 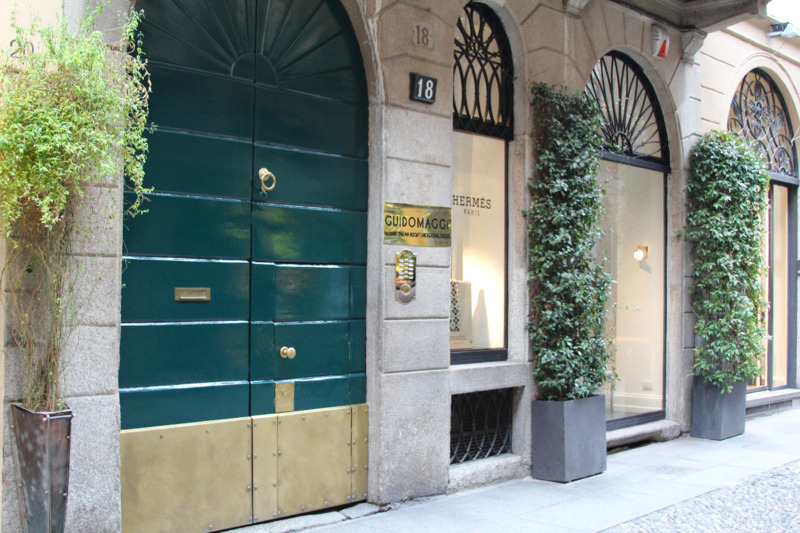 Upon entering the GuidoMaggi showroom, the smiles of Mark and Vanessa will greet you. They are always available to dispense styling tips and help you choose the style of elevator shoes that best reflects your personal style. The showroom also offers customization, allowing you to choose your style of shoe, as well as its colors, leather and heel height.